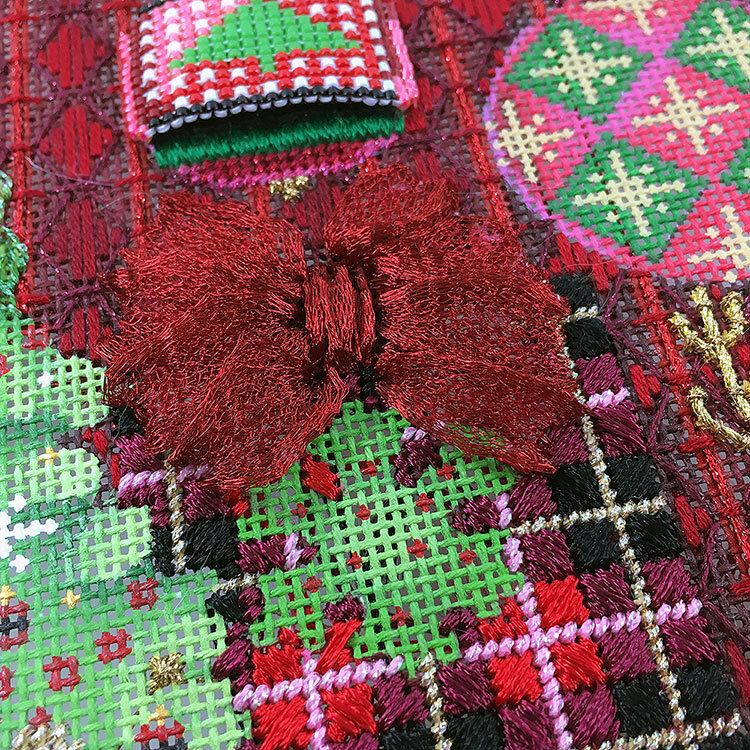 I find bows to be one of the hardest things to stitch in needlepoint. I never much like the way they looked stitched inTent or Gobelin. I struggle to find ribbons that both look good and won’t go floppy. In her recent Thanksgiving retreat, the project was the Christmas books canvas from Melissa Shirley. Ruth used WireLace to make this big fluffy bow. I am unable to open the link for the step-by-step tutorial for Ruth’s bow. An error message is displayed – perhaps the address tied to the link is in error? Would love to see the tutorial. Thank you. It’s been corrected. Thanks for pointing it out. The link in the article is now correct.